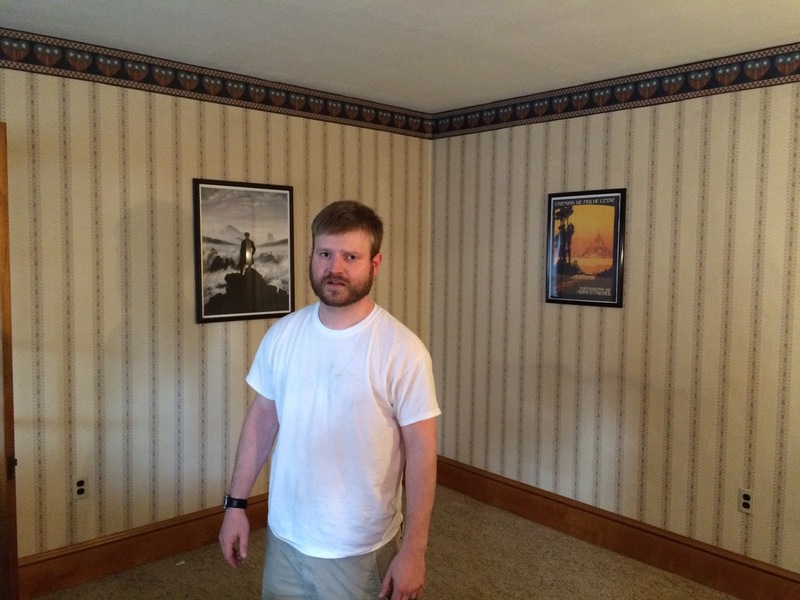 This is going to be a very short post that does not properly encapsulate the agony of trying to find this damn couch. My fiances parents are the loveliest people ever (I seriously hit the in-law jackpot.) Even after doing so much for us already, they wanted to get us a housewarming gift. A few conversations later and we decided on a nice couch. 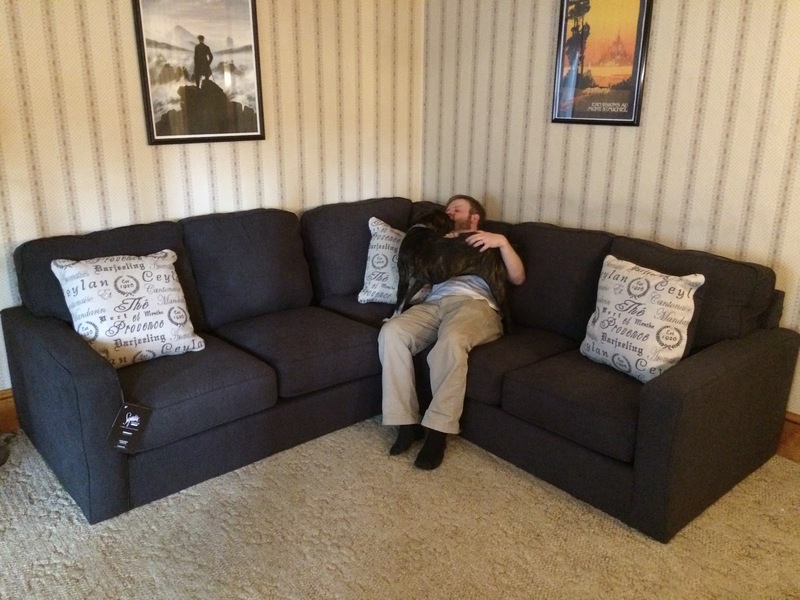 Fiance had his heart set on sectional, which is…not my style. However, he also wants to keep all the wall-to-wall carpeting in the house, because he hates hardwood floors, because he has no soul. So I figured: he can have a sectional, and I will win my hardwood floors. However. Our living room, while quite spacious, is not a modern living room. It is a 1928 living room, and in 1928, they did not envision monstrous sectionals. We measured the walls, and we started visiting furniture stores. And more furniture stores. And mooooooore furniture stores. First of all, 90% of all of them were too big for the space. Another 5% were out of the budget. Of the remaining 5%, 4% were ugly. 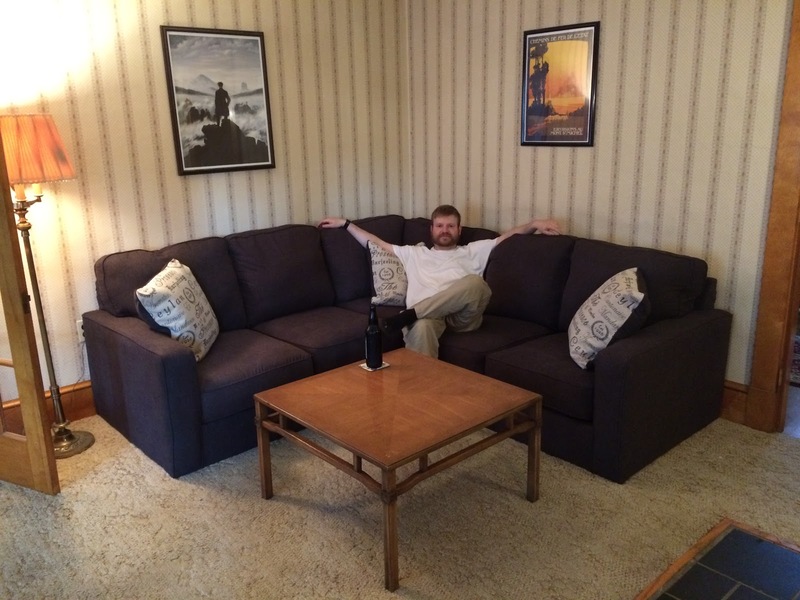 Friday, the new couch arrived! Before! Fiance was way less than impressed with my need for a before picture. After, with bonus excited pup. And the final arrangement. I even got the coasters out of their box so we could use them on the nice table from his grandmother. I feel your pain! We only had a couple requirements when we last went couch shopping- A) not be gigantic (why is EVERYTHING gigantic these days) and B) be brown leather. And still we had a nightmare of a time finding one to fit- so I can't imagine finding one with all those requirements! I wanted an awesome antique tufted couch for my living room, but compromised and got a chesterfield loveseat. The loveseat fits PERFECTLY and is that perfect blend of modern (it's in light gray– shows no husky hair) and vintage (style). I love it, but mostly am just happy to not have to shop any more!